Here we go with yet another, yes . . . another, episode of the one and only podcast dedicated 100% (give or take 50%) to the greatest game in the world Advanced Squad Leader. Letters make their long awaited return and provide a springy springboard into many ASL topics. Then we hop into the Wayback Machine for a trip to ancient times and relieve the goodness of ASL Annual '96. The Annual contains great gaming tips from many of the ASL communities best players who contributed articles on Gliders, the ins and outs of Motion (only ASL can turn a simple concept into a brain snarl), and CX double-timing. We present to you a trove of ASL wisdom -- wrapped in a lot of silly chit-chat. In this ASL Extra it's Dave vs. Dave. Not Dave K. vs. Dave T., but Dave K. vs. Dave K. Yes, Dave K. had to develop a bit of a split personality to record this episode. In this replay he shows his true geekiness as he plays Starter Kit Scenario, S3 War of the Rats without a real opponent. Must have been a slow night in Stalingrad. If you get a lot of ROF, you could call it the War of the Rates. Be prepared to listen to a whopping 3 hours plus of ASL education. This isn't just a summary of a game. Yes, every delicious die roll and modifier is included for your edification. This is a long awaited, oft requested special treat for you ASL Starter Kit players, and we hope to bring you more in the -- hopefully not too distant -- future. Sadly, it seems like everything is in the distant future, as there is so much to cover in this game system. But you never know, maybe it will be sooner after all. It's hard to imagine a player of Advanced Squad Leader who doesn't like a challenge. After all, the very essence of ASL is in the challenge to learn it, and for an elite few, master it. 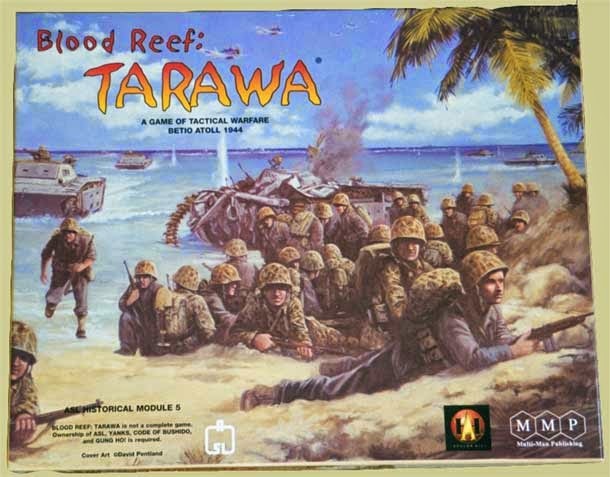 But even so, many of us would rather suffer repeated dowsing with buckets of icy water than to take on the monster that is Blood Reef: Tarawa, the fifth historical module in the ASL family (and perhaps the archetypal "black sheep" of the line). But wait. There's hope. For you that proudly own BRT but lack the courage to tackle its diabolical eccentricities, or for you that have played it and glossed over its imposing minutiae, or for you that can only sit in awe of its Byzantine logic, there's hope! Thanks to many monasterial hours and days of staggering devotion, Rich Spilky has sought to unravel the Gordian Knot of rules and create a selection of player aid charts that will greatly assist your BRT odyssey. In this episode, we chat with Rich -- or rather, Rich chats with us -- about each of his BRT tables: why he created them and how to use them. Equipped with these tables and the Tarawa Gamer's Guide AND this episode of The 2 Half-Squads, the challenge of BRT will seem child's play. And if we're wrong, you can dump a bucket of ice water over . . . Perry's head!